Making some short movie or film is very common today. Especially young people have more tendency to make a short video of their own, often to show their talent or for some other reasons. But all of them don’t have configurated video editing apps and devices. But Android is common to all. For them, the Android Play Store has brought tons of featured film apps. 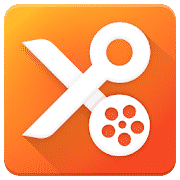 So, I have decided to write here about the best movie maker apps for android so that you can choose the right one for your experience. 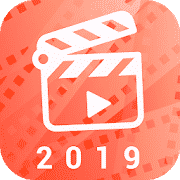 Here, I have added 10 awesome movie maker apps for android which are completely free to download and use. You can simply install any of them and follow the instructions to use it perfectly. Also, some of them have some special features where others act in another way. So, it is better for you to have a glance over its features, given below. Hopefully, it will come as a great help. If you are into vlogs and video editing then you will surely like VideoShow- Video Editor, Video Maker, Beauty Camera. It is one of the well equipped all-purpose movie maker apps for android. It is completely free to download while giving you professional quality functionality and productivity on your Android phone. You can know about some of it’s keep features to be a bit more specific about it. • Provides easy and versatile video editing functions. • Includes customizable texts, sounds and music files for better management of your clips. • Offers post processing, beauty effects and FX effects for both photos and videos. • Provides lots of filters, stickers, frames and adjustable background for your quick and easy productivity. • Includes professional video and photo editing tools and numerous effects for cinematic videos. • Integrated with smart formatting sharing options for many known social sites. 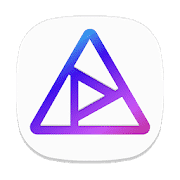 Movie Maker for YouTube & Instagram ALIVE Inc is a stunningly featured and powerful video editing app you will find in play store. It is easy to operate and also comes with lag free UI. This app is completely free and very easy to use. There are also a lot of breathtaking features are included. • Provides an opportunity for making videos for social media at ease. 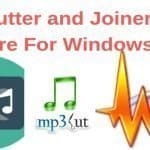 • Includes quick record, mix and sharing options for your convenience. • Equipped with popular stickers, filters, and soundtracks to make more interesting clips. • You can just slide and edit, match with effects with just a tap. • Provides free timeline editing functionality for better flexibility. • Includes customizable samples and editable pre-loaded filters. Let’s talk about movie editor app in Android platform. 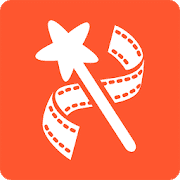 Film Maker Pro – free movie editor is an amazingly featured movie maker app for android you can find in play store. It has the capability of adding music, photo, filter, and even text to make cinematic videos. If you want, you can have a glance over its major features. • Equipped with video trim, split & duplicate, cut option for better editing experience. • Provides high-quality filters for perfect mixing. • Includes customizable color adjustment tools and full manual control functionality. • Provides numerous animations and illustrations for versatility. • Includes featured sound effects such as music and song, animal sounds, explosion, etc. • Provides easy to use interface and improved UI. Let’s meet Video Maker with Music, Photos & Video Editor. It is an all in one free movie making or video editing app you will find in play store. It is equipped with cutting edge functions and beautiful interface and the best part is professional grade work done just in your smartphone. Let’s know about some of the main features it provides in the following section. • Provides powerful options in the timeline and advanced video editing functionality. • Equipped with slow-fast motions capabilities, numerous sound effects, customizable backgrounds, and templates. • Provides pre-installed filters, color effects, patterns for easy and quick editing. • Includes customizable text and captions for your videos or movie clips. • Provides aftereffect, such as retouching and beauty effects. • Integrated with cut, paste, move, compress, collage and many other handy tools. • Gives you easy sharing options for different social platforms. Cyberlink is one of the known names in video editing software industry. 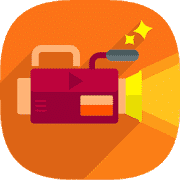 And I highly suggest PowerDirector – Video Editor App, as for its performance as one, among the best film apps for Android to be in your Android phone for easy and high-quality video editing. It is equipped with the industry’s best functionality with an interactive interface. • Includes customizable background and numerous effects and templates for your convenience. • You can also use the app on your personal Chromebook. • Offers both photos and videos college options. • Give you the opportunity for aftereffects and slow-fast motion video editing for better cinematic effects. • Offers versatile sharing option, also various frames and formats for different social platforms. Another great movie maker app is YouCut – Video Editor & Video Maker, No Watermark. 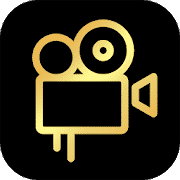 It is a stunning film app for Android you will find in the play store with beautiful UI and easy to use functionality. It is so easy to use that you will be able to run it from the very first minute of its installation. A handful of exclusive features are also here for you. • Offers ready to use quick productivity for your convenience. • Includes pre-installed templates, frames, filters and fx effects for your video recording clips. • Provides professional grade productivity completely free on your Android phone. • Includes multifunctional video splitting, slicing and speed control in clips. • Offers faster sound file integration and video aspect ratio customization. • Provides multiple options for conversation and compression of your video clips. • Includes formats and frames for different social platforms for better sharing experience. It’s better to have a video editing app in your smartphone if you are into video uploading. 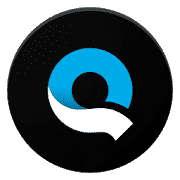 Quik is a versatile video editing app you will find in the play store. It provides easy to use functionality and beautiful interface for a better experience. 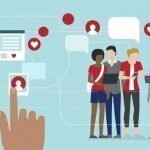 Let’s dig into its unique offerings in the following discussion. • Provides professional grade options for photo and music editing. • Includes customizable themes and templates for quick response in the photo and video editing. • Offers numerous adjustable text, pattern, and background for your convenience. • Provides advanced options for video integration and sharing with direct support for numerous digital cameras and camcorders. • Includes customizable samples and formats for quick productivity and versatility in social sharing. Say hellow to another stunning movie maker app for Android that you can get for free in play store is Film Maker by Best Photo Editor. It is equally modern as other video editing apps and provides powerful functionality. It is an all in one video editor that can meet your need just by some tap in your Android phone. You can learn more about the key features in the following section. • Allows you to make photo slideshows and a cinematic movie at ease. • Offers all in one video editing functionality with an interactive interface with screen recording tools. • Provides customizable texts, soundtracks, themes, templates, filters, and effects for your help. • Includes video effect background customization. • Offers faster editing experience than it’s competitors. • Provides customized frames and format for making Facebook and Instagram videos. 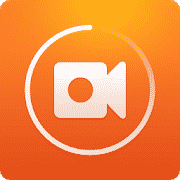 DU Recorder – Screen Recorder, Video Editor, Live is all you need if you are into video mixing and recording. It is very organized with a beautiful UI that makes your output quick and easy. A good number of stunn9ng features have made it a really great app. So, if you are interested in it, you check out its features. • Give you a stable and high-quality screen recording experience. • Provides customizable formats and different resolutions in video quality for better mobility. • Equipped with easy screenshots mixing and photo editing functions. • Provides professional grade video editing experience with many functions and pre-installed templates. • Equipped with easy soundtrack mixing options and customizable FX effects. • Gives you better social media support and also processable live stream integration for different social hubs. 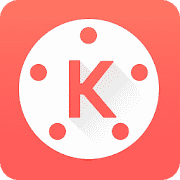 Now Android smartphones are able to do computer level professional works and video editing is made easier than ever with the help of Kine Master- Pro Video Editor. You will find it in play store completely without any cost but giving you premium facilities with a beautiful interface. • Offers versatility in video editing and mixing with multiple layers of integration and easy background effects. • Provides customizable FX effects, layouts, texts and frames for easy photo and video clip editing. • Offers instant preview option for precise work experience. • Includes advanced sound editing and integration for your movie clips and social videos. • Provides professional-grade functions, such as blur, cut, collage, beauty effects, and speed control. • Integrated with lots of templates and animations and adjustable effects for both video and audio files. • Includes advanced sharing options for social sites and real-time audio-video recording. Have you made your decision already? Not yet? Please, don’t get confused and do focus on your needs. If you want to do it in a professional way, I will then suggest you go with VideoShow or Film Maker Pro But if you think it should be simple and easy then KineMaster and Film Maker will be a good choice. But to be honest, all are good and resourceful movie making apps for Android. 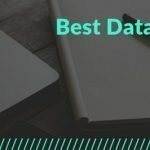 Is this article of best movie making apps for Android helpful? If so then let me know about which one you have picked from this list and how you feel with it. Also, inform me if I have made any mistake. Thank you for staying with us.